It feels like we had two weeks of winter in between Spring and Spring. Fall? I have no idea what that is around here! We've had a mere couple of weeks of winter it seems and now it already feels like summer. My socks have been relegating to the bottom of the drawer and the box of summer clothes is about to cramp up our bedroom space soon. I feel torn about it - I like the milder temperatures that our winter brings. I like the ability to layer, put on a hat, wrap myself in a warm blanket or a comfy scarf. I like the long simmered stews that screams winter comfort to me. On the other hand, I can't wait for Spring and Summer produce, long dinners al fresco with our friends, juicy peaches and nectarines, and colorful fresh salads. 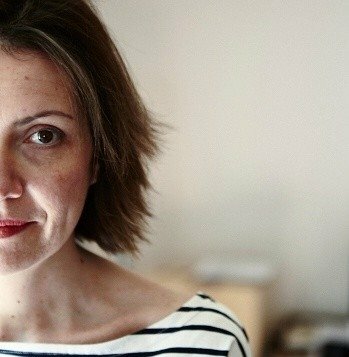 I am about to embark on a short trip to Kentucky to wrap up a cookbook shoot and while I try to stick to good eating habits while on the road, between the crazy schedule and the fatigue elements, I am never sure of what the days will be like food wise. It seems like wine always find a way to make it to dinner though... Joke aside, I have been filling up on lots of veggies and greens over the last couple of weeks in between editorial and cookbook shoots. I am happy to share with you two of my go-to salads. Easy to prep, shock full of flavors and they can easily accommodate the addition of a protein if you feel like it. 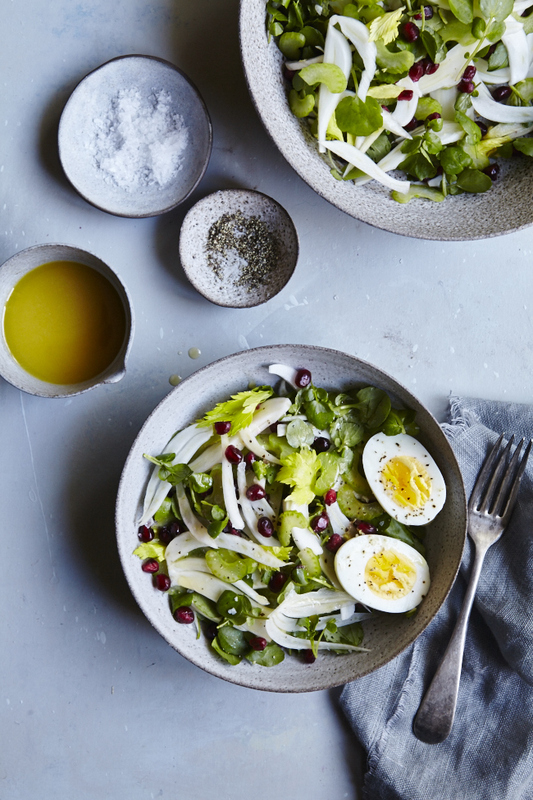 I often make the Fennel and Celery Salad as a quick lunch with a soft or hard boiled egg to go along but it would be great with a side of chicken or fish. The more robust Roasted Root Veggie Salad is loaded with beets, turnips, carrots, farro and chopped carrot green (tops). It's a favorite alone but the cumin blood orange vinaigrette makes it a flavorful side for grilled fish or pork chops. Pomegranate seeds are now available pretty much all year long thanks to nifty little packaged cups while the blood oranges in the vinaigrette can easily be subbed for part lemon, part oranges (half and half) making it easy to have year long. Cut the fennel bulb in half (save the fronds for the salad or vegetable stock). Thinly slice the fennel and put in a large mixing bowl. Thinly slice the celery and leave and add the the fennel. Toss in the watercress and pomegranate seeds, In a small bowl, whisk the oil, vinegar, lemon juice and salt and pepper. When ready to serve, drizzle the vinaigrette over the fennel salad and adjust seasoning if necessary. Top with a hard boiled egg if desired. Cook the farro by bringing the stock or water to a boil. Add the farro, turn the heat to a simmer, cover and cook until tender (about 20 minutes). Place the beets in a 8x8 pan, add a little water (about 1/4 cup water), cover with foil and roast until tender (about 30 to 45 minutes). Let cool. Peel by rubbing the skin with a kitchen towel (yes, you'll have to sacrifice it but at least your fingers won't turn red). Cut into quarters and set aside. Cut the tops of the carrots off but set aside for the topping. Trim the turnips the same way. Cut them in half lengthwise. Place on a baking sheet. Drizzle with a little olive oil, salt and pepper and roast for about 20-30 minutes. Remove from the oven and set aside. Roughly chop the carrot tops and set aside. Whisk the orange juice and zest with the vinegar, olive oil, salt and pepper to taste. 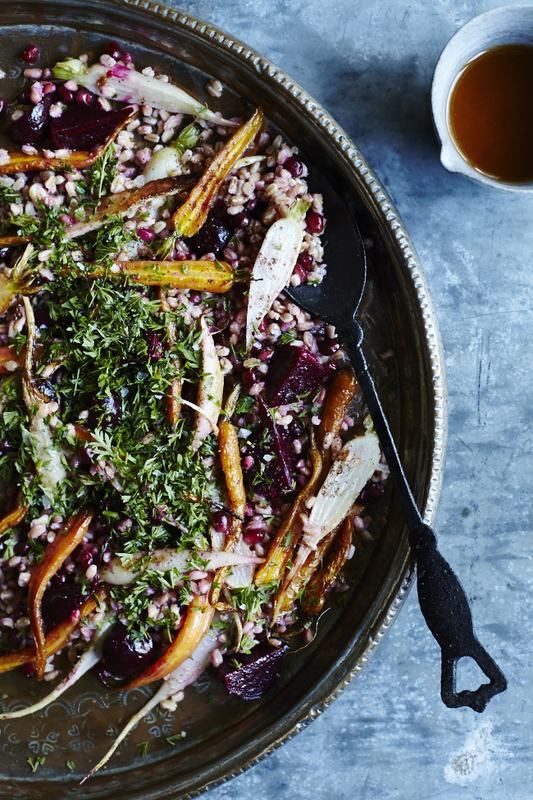 In a large bowl, toss the farro, roasted beets, carrots, turnips, pomegranate seeds and vinaigrette. Top with the chopped carrot greens and serve. Looks really beautiful and refreshing! I can just imagine all the health benefits as well! stunning. I'm all over this and the blood orange takes it over the top! Wow, I love the new design of the blog, is stunning!!!! Congrats!! An the roasted vegetables is already in my recipes to make list, looks delicious. thank you for the recipe! !